Unlabelled Northern Youths Give Igbos In The North, 3 Months To Leave? 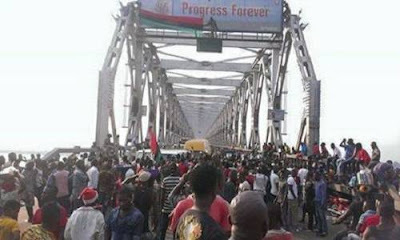 Northern Youths Give Igbos In The North, 3 Months To Leave? Some Northern Nigerian youth groups yesterday in Kaduna issued what they called a 'Kaduna Declaration' in which they declared “war” against all Igbos residing in the North, demanding they leave the area within three months, Sahara Reporters states. They also asked Northerners in the South-East to leave the area, warning that as from October 1, which happens to be Nigeria’s National Day, they will commence implementation of ‘visible actions’ to prove they are no longer part of a federal union that includes the Igbo. The groups that signed the declaration include Arewa Citizens Action for Change, Arewa Youth Consultative Forum, Arewa Youth Development Foundation, Arewa Students Forum and Northern Emancipation Network, but it is unclear if known officials of any of the groups actually signed the document. They said that rather than certain sections holding the whole country to ransom at every stage, each should be allowed to go its own way. The federal government had issued no response as of the time of this report.